Summer is flying by around here--I can't believe today is the last day of June. Where has it gone? We've been busy/not busy, and that's been perfect. 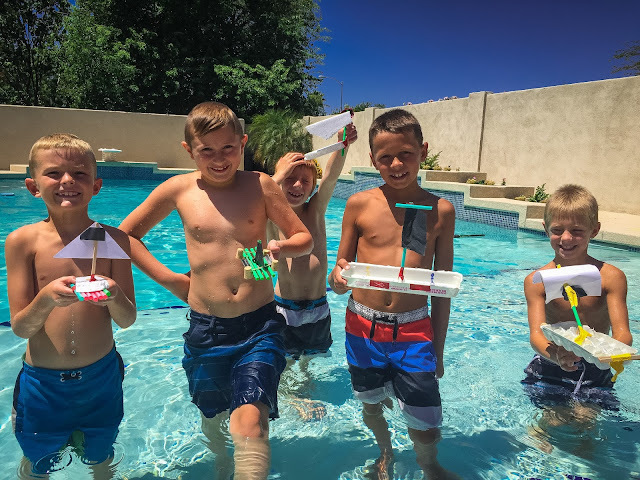 The scouts and I made boats. Mine was not that fabulous--once the sail got wet, it sunk. 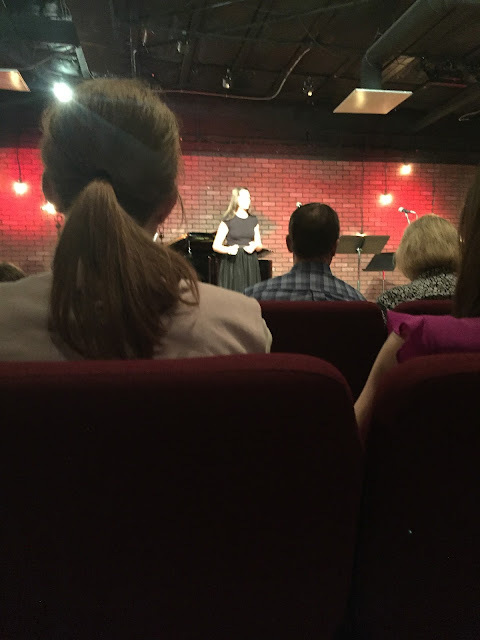 This is the only picture I have of Karli's recital--crappy iPhone shot. Wow, that lady can sing. One song they did (it was a joint recital with a flutist and a pianist) had Karli echoing the patterns played by the flute. It sounded like Snow White, but better. It was amazing! I got to hold this little girlie while her mama sang. Every once in a while she would clap her hands and yell, "Mama! Karli! Mama!" 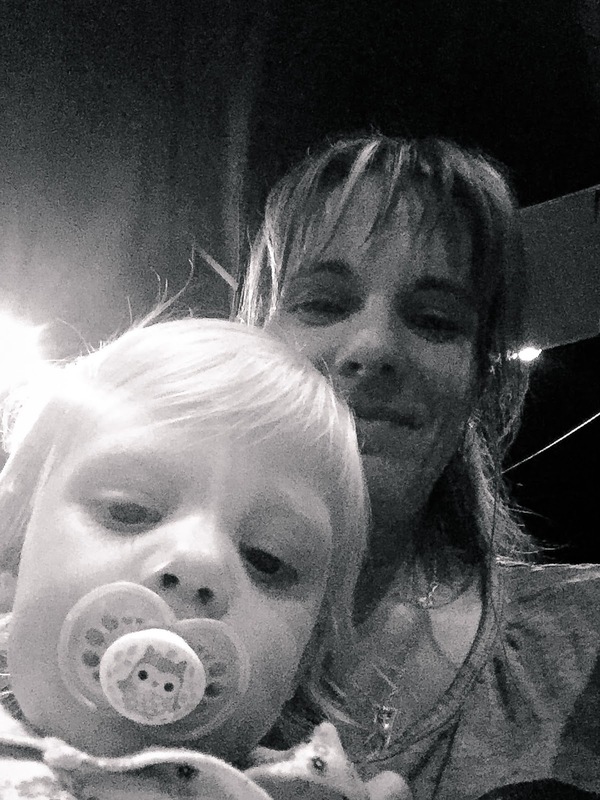 It's hard for a little girl to call someone "Mama" when everyone else around calls her Karli. 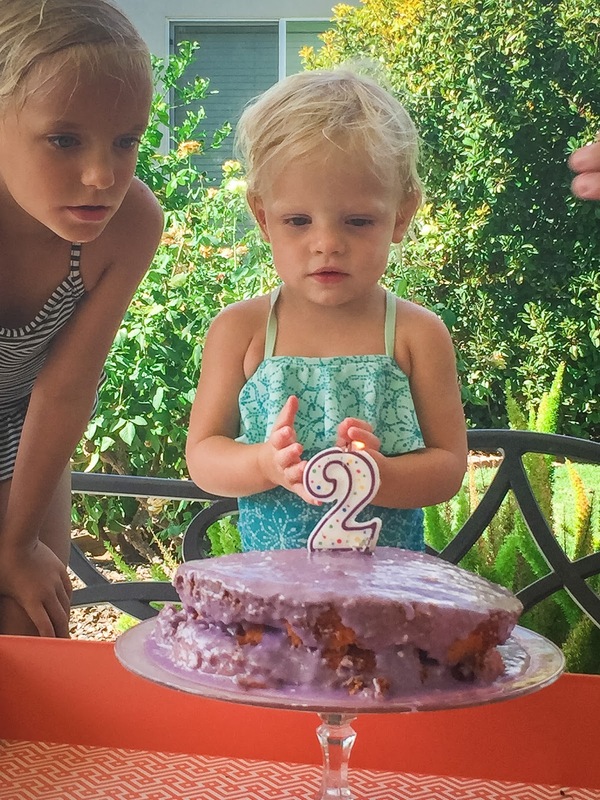 And Annie turned two yesterday. She loves purple and pink more than anything, so Karli made her a Dr. Seuss-colored strawberry puree cake that refused to come out of the pan. But it tasted delicious. 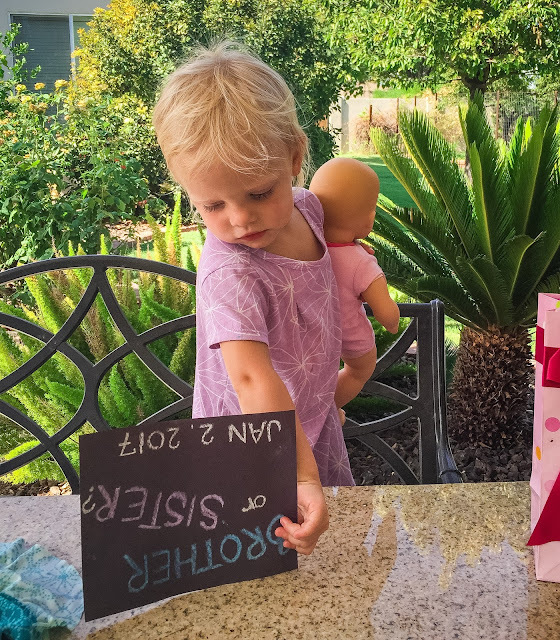 For her birthday, Annie got a new doll, a teddy bear, a picture of Jesus, and . . .
. . . a big announcement! There's a new little Denton on the way! We are all so excited! How exciting!!! Congratulations! And, how cute is Annie...and Evie...such a cute picture! Exciting news! Congrats to the whole gang! !